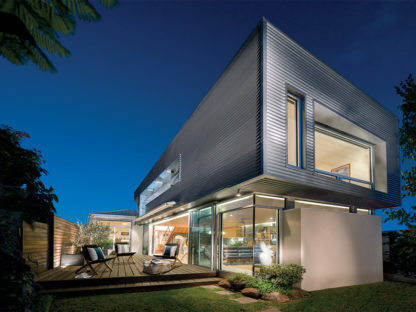 Katz Architecture comprises an engaging, communicative and enthusiastic team of professionals. At Katz Architecture you will work directly with the project team and design director to ensure that your project receives a wide range of experience, technical knowledge, attention to detail and logically resolved design. Paul is the creative and visionary inspiration behind Katz Architecture. His ability to find innovative solutions to difficult problems has earned him an enviable industry reputation. Accustomed to leading highly skilled design teams in all facets of a projects procurement, he is keen to resolve client requirements as a first priority, in a way that surpasses expectations. Paul has particular skills in understanding client and stakeholder requirements and translating these into creative and sustainable design solutions. Clients love to see their ideas turned into architectural reality. 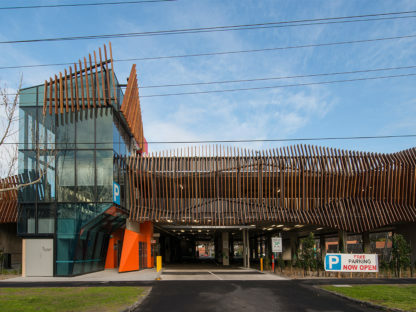 Paul was a Principal of highly regarded Melbourne Architect Daryl Jackson, and later Design Director of Haskell prior to establishing Katz Architecture in 2011. His extensive international experience includes completed projects in England, Vietnam, China, New Zealand and all states around Australia. Tom is a passionate and dedicated Senior Associate of the firm bringing extensive experience in complex architectural projects. Prior to joining Katz Architecture, Tom worked with highly regarded firms DCM and later as Associate with Hassell, managing major projects up to $200m. Tom is a team leader and oversees project deliverables from both the architectural and consultant teams. His sharp eye for detail and dedicated pursuit for architectural perfection ensures the technical aspects of our projects are fully resolved, documented and delivered. Tom brings particular skills in resolving project requirements to the finest details. His tenacious persistence results in elegantly resolved project details and complexities. His ability to lead, coordinate and manage large consultant teams ensures the firm’s documentation is well above industry standards and reduces risks to our clients. With a friendly and easy going nature, Tom is well liked and highly regarded by his peers, colleagues and clients, and a highly valued member of our team. Our key team members are supported by our experienced and dedicated team of architects, interior designers and technicians. With proven depth of experience across all areas of building design and procurement, we bring a team dedicated to ensuring the successful delivery of your project. Enriching spaces - Enriching lives.